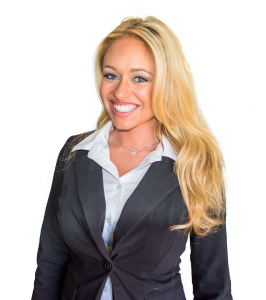 Taylor’s passion for real estate has been ingrained into her livelihood since the very beginning. While other children her age were attending daycare, she was effortlessly learning the ins and outs of real estate from countless days spent on her father’s construction projects. After being exposed to gorgeous homes and remodels, an obsession with helping clients find their own dream home was developed. How do you want to live? Your home is more than just a structure–it’s a sanctuary for relaxing, raising families, entertaining friends and making memories. Taylor recognizes what an honor it is to be called into your life when it comes time to sell your current home or buy a new one, and she considers herself a consultant and a service provider more than a salesperson. Her thorough familiarity and knowledge of South Florida’s communities, neighborhoods, and local attractions help her match her clients with the right home for them. Her achievements include attaining the highest price per square foot on several sales and maintaining long-lasting relationships with her clients and agents alike. She always takes the time needed to nurture and connect with each client and is always accessible via phone or email. Taylor has partnered with the love of her life Rocky Wilson in Real Estate and they make a dynamic duo. Together they can tour your home once and in minutes tell you exactly what needs to be done to get top dollar for your property. They guarantee luxury top-notch service, have unique selling strategies, intense morals, a strong work ethic, and know exactly what buyers want. With a fundamental understanding, that buying or selling a property is a transaction that shapes a person’s life, Taylor & Rocky keep the focus on their clients’ wishes and needs. Rocky’s Real Estate journey began in 2003 when he enrolled in the Real Estate pre-licensing Summer course right out of High School. From there, he explored different niches in the industry from wholesaling, Investments, REITs and inevitably settling into the retail Real Estate market here in Boca Raton, FL where he calls home with his amazing girlfriend and partner in the business. 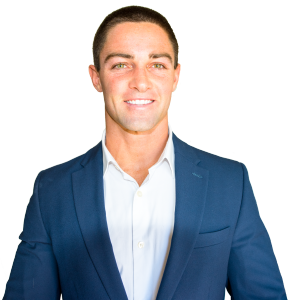 He’s dedicated himself to education, training and constantly improving to allow himself to be one step ahead to better serve his clients. Choosing the right Realtor to stand beside you in any Real Estate transaction can make or break the process. Give Rocky Wilson & Taylor Scull a call and know that you’ve got the best team of Realtors here in Boca Raton to handle all of your Real Estate needs, be it that multimillion-dollar condo on the Ocean or finding your children their first property. Rocky & Taylor’s ultimate goal is to become your Realtors for LIFE.